We tested the no-show variant of this nearly all-nylon sock, which is scooped out below the ankle, yet has a heel tab. The asymmetrical fit and targeted compression made for a tight fit that proved durable throughout the test period. 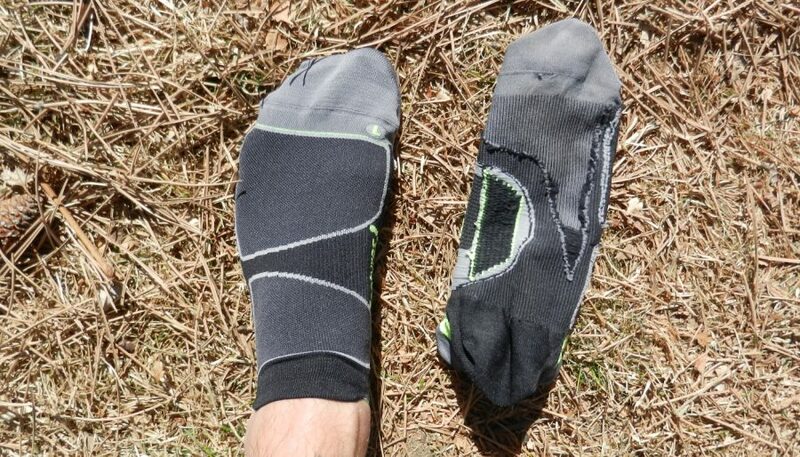 The ultralight fans were happy with how the sock fit inside the shoe, but other testers wished for a bit more comfort. Even testers who prefer no-show socks felt this one rode a bit too low under the ankle. The breathability was above average, as expected from a nylon-based sock. The high wear areas, such as under the arch and over the toe knuckles added a touch of durability and comfort. The nylon materials show no wear during testing and are reliable. 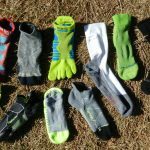 The inside-out Feetures Elite Ultra Light sock has several areas targeted for support and wicking. 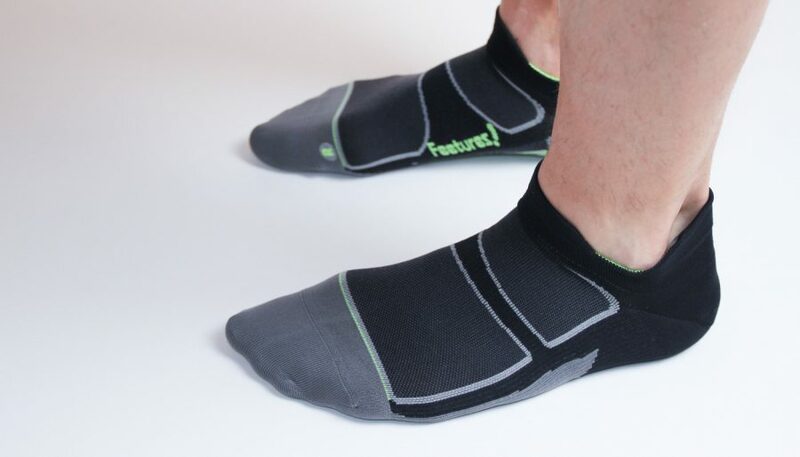 It feels like a secure fit without feeling like your foot is stuck in the sock forever. CareMachine wash cold, inside out and hang dry.